"As a coaching group you are completely different to any coaches we have worked with before – whatever you do, it works, you have a significant impact." We're not content with the status quo. Our intent is to leave people and businesses better than they were before: higher performing; more resourceful and resilient; more fulfilled and fit for purpose. We partner with organisations, business leaders, teams and individuals who are open-minded and curious: for them, and us, the status quo is never an option. Our clients want to step up a gear and are ready for transformation. We invest the time to go deep and really understand our clients’ business needs and cultures; we encourage and inspire businesses to ask the questions and have the conversations that matter; we help our clients embed new practices; we facilitate connections and act as a bridge to fresh external perspectives. As a result, our clients clear their view and overcome the barriers to change, helping them create high performing organisations full of people who love their work and who know how to flourish, even under pressure. Our latest leadership profile is of Kenny Wilson, CEO of Cath Kidston, the fast-growing ‘home of modern vintage’. Wilson has been running the company for five years and has just overseen its buyout by private equity group, Barings Asia. With a dual focus on performance and enjoyment, Wilson is an impressive leader who knows how to take his people with him. 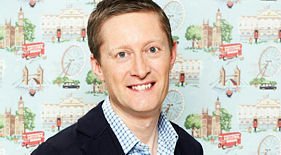 Read his full profile to follow his path from fast-rising star at big corporate Levi Strauss, to top man at Cath Kidston. Self-awareness, determination, commercial insight, ambition, quiet charisma – Wilson has it all. Also see our full list of Leadership Profiles. We are thrilled to welcome Eleanor McBrien as a new Alliance Partner. 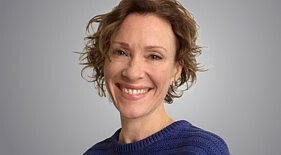 Eleanor brings a unique blend of commercial and creative experience earned over 20 years in the media and entertainment sectors. Following a career working in senior marketing and management positions in UK and global broadcasters, and having set up her own consultancy and coaching business, Eleanor has spent the last six years working with a range of consumer brands developing their market position, and clients looking to fulfil their personal potential. Her coaching approach is pragmatic, direct and supportive; a blend of challenge and empathy. Eleanor began her career with a joint major in Visual Arts and Marketing, and is Chair of the Board of Trustees for her local Borough's Arts Charity. 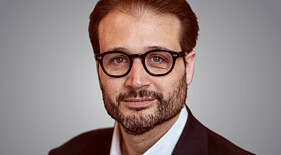 We are delighted to welcome Saverio Grazioli-Venier as a new Alliance Partner. Saverio is a dual-citizen who grew up between Italy and the US, and now works from the UK. He has a rich and varied background including executive search, and particularly enjoys coaching internationally and across cultures, creating a bespoke approach for each client. He blends peak performance techniques found in elite sports with established methods of business coaching; Saverio is known for creating momentum quickly and for bringing energy and confidence to his clients. Saverio also trains coaches to professional standard as a Faculty Member at Meyler Campbell. See his full bio here.